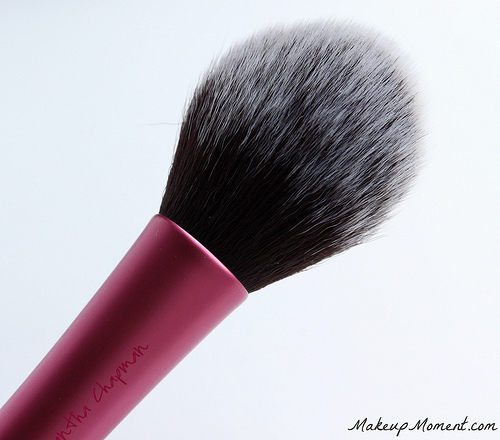 This blush brush is comprised of taklon bristles that feel amazing against the skin-so soft and plush! I initially got this brush for powdered blush application but, I have found that I much prefer this brush for other uses instead. Because the head of the brush is quite large, I can't seem to get the precise blush application that I am looking for. Also, the brush doesn't pick up enough of the blush color, so I usually have to keep going back to layer on some more of the blush until I get the intensity that I desire. Not all is lost, though. Just because this brush didn't quite work for me as a blush applicator, doesn't mean that it's not great for other purposes. 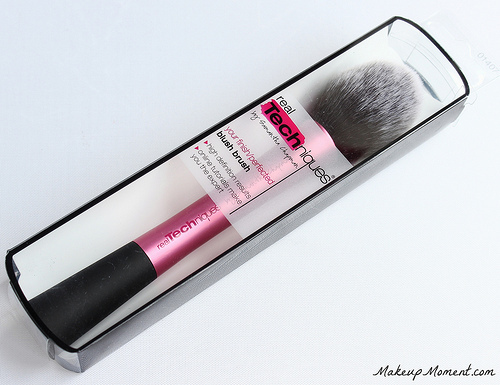 For starters, I think this brush works wonders for bronzer application. Sometimes I can get a bit heavy-handed with bronzers, and since this brush picks up a bit of product at a time, I can easily build up the bronzer to achieve a softened bronzed look, that beautifully blends into my skin without looking overdone. I also like using this brush to apply a light dusting of finishing powder-specifically, my Rimmel Stay Matte pressed powder. I have cleansed this brush a few times and I am happy to report that the brush hairs have still retained their softness and shape, after they dry overnight. I haven't experienced any shedding of the hairs either, so that's a plus. Overall: I am really happy that I added this brush to my arsenal. It makes for a great bronzing/finishing powder brush, and it has easily become one of my new staples. I can't wait to try some more Real Techniques brushes. I have my eye on the expert face brush, next! 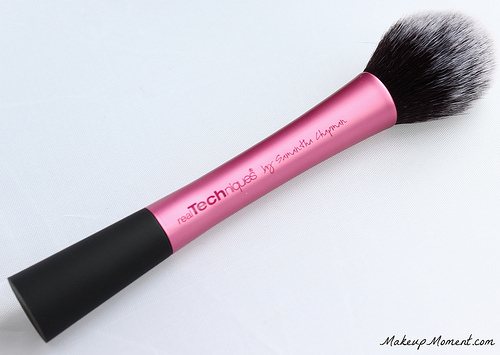 What do you all think of the Real Techniques blush brush? Which are your favorite Real Techniques brushes? One of my favorite brushes!